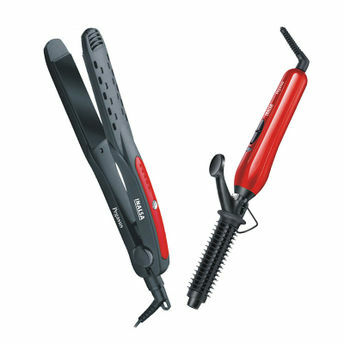 Inalsa Pegasus Hair Straightener is here for quick and easy hair styling! Powered with solid ceramic plates it comes with a powerful motor for the best perfomance. The light, compact styler has been designed with a travel-friendly input supply making it comfortable to use and easy to carry around. It has 360 degree swivel cord movement for perfect styling of hair. Inalsa Pegasus Hair Curler is here for quick and easy hair styling! Powered with a ceramic-coated heating rod coating, the hair curler comes with highly powered motor for the great perfomance. The light, compact styler has been designed with a travel-friendly input supply making it comfortable to use and easy to carry around. 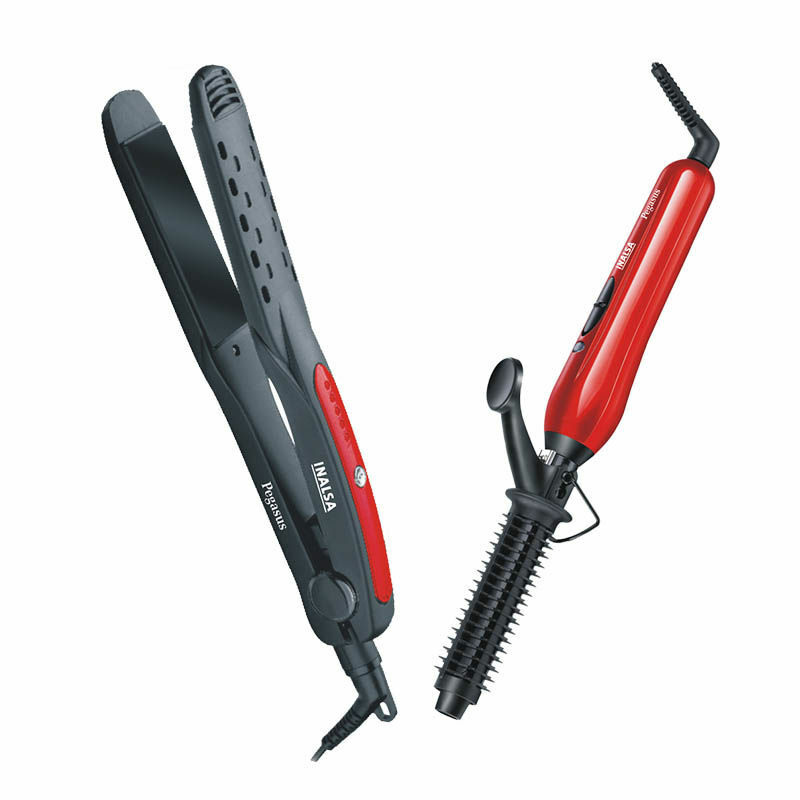 Its has 360 degree swivel cord movement for better handling and 2 heat setting to provide those perfect curls. Explore the entire range of Curling Irons/Stylers available on Nykaa. Shop more Inalsa products here.You can browse through the complete world of Inalsa Curling Irons/Stylers .